REPLAY sports pics… W bool and district Drag Racing association s Street Meet on Sunday at the W bool City Dragway. 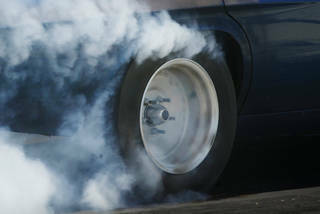 Picture shows a racer spinning his tyres to warm them up, prior to an Elimination round race of the Quick 16 class. 061126GW34 SPECIAL 01015623 Smoking tyres .